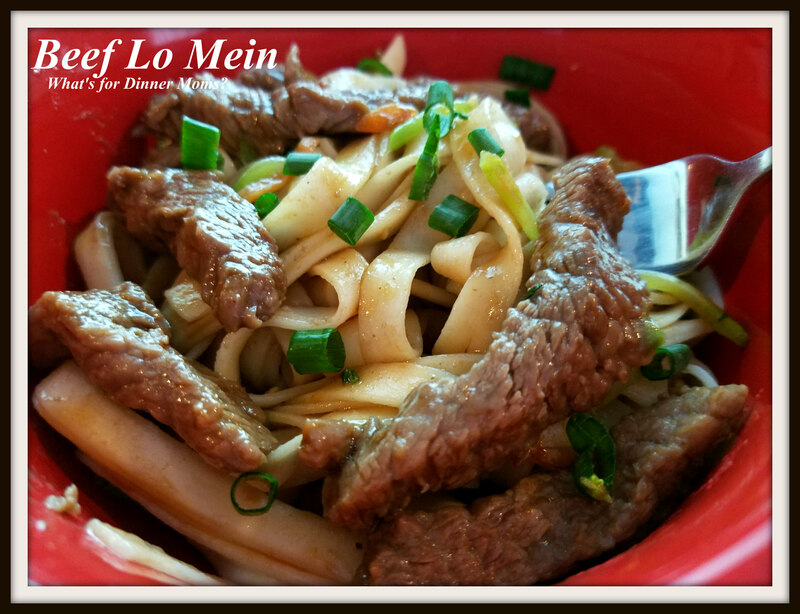 Beef Lo Mein – What's for Dinner Moms? I am a huge proponent of starting to prep a dish long before you are ready to cook it. I froze this steak for about an hour before we sliced it super thinly. Then while making dinner the night before I was going to serve this I had the family make the marinade and put the steak in the fridge. When we went to make dinner the next night it was super simple to put together. I used a bag of broccoli slaw mix to make the prep on this dinner even easier and it was a bit different from the usual cabbage in this dish! We all loved this dish. It was super easy to make and easily customizable to each of our tastes. I liked more soy sauce while my daughter was fine with it just like it was. My son wanted some Siracha over the top so he added a dash or two. There was enough left for a large lunch serving the next day. Serve this with a nice salad or a green vegetable to complete the meal. 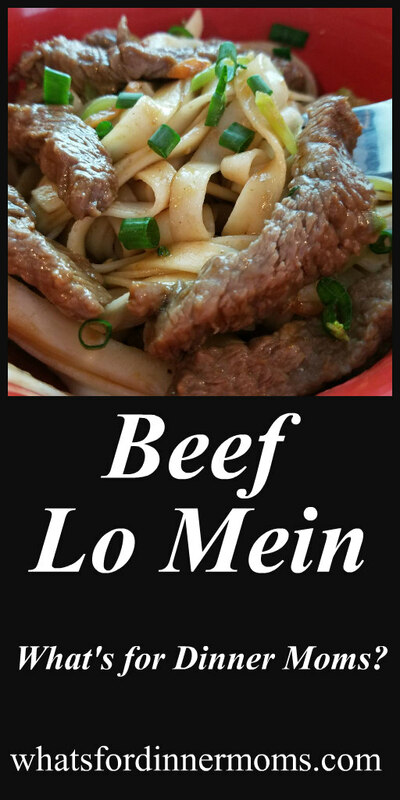 Mix cornstarch, oyster sauce, soy sauce, beef stock, sugar, and sliced beef in a plastic zip bag. Place in refrigerator for at least 30 minutes to overnight. Bring a pan of salted water to a boil and cook noodles according to package directions. When done drain and add 1 teaspoon sesame oil to avoid sticking together. Remove beef from refrigerator. Add sesame oil to fry pan over medium-high heat. Once beef is cooked remove from pan with a slotted spoon. Add garlic and broccoli slaw mix to pan. Stir fry (add additional sesame oil if needed). Once vegetables are tender add beef and lo mein to pan and stir until all warmed through. Serve with extra soy sauce and green onions over the top.